All three stroke types registered two peaks during the day, one between 6 and 8 in the morning and the other between 6 and 8 in the evening, with a significant dip in the numbers of strokes occurring during sleep. But closer analysis showed that cerebral infarction had a higher peak in the morning and a lower peak in the afternoon than the other two. Intracerebral haemorrhage and subarachnoid haemorrhage, on the other hand, were more likely to have lower peaks in the morning and higher peaks in the afternoon than cerebral infarction. By Journal of Neurology Neurosurgery and Psychiatry, The internal body clock, or circadian rhythm, seems to influence the timing of different types of stroke, suggests research published ahead of print in the Journal of Neurology Neurosurgery and Psychiatry. The research team analysed data from almost 13,000 patients who had had one of three types of stroke for the first time, diagnosed by brain scan. These patients' data had been collected on a stroke register, showing that cerebral infarction, where blood flow to brain arteries is restricted, was the most common type of stroke. The rate was 89 per 100,000 of the population. Subarachnoid haemorrhage, where bleeds occur in the arteries at the brain's surface, was the least common type at 18 per 100,000 of the population. 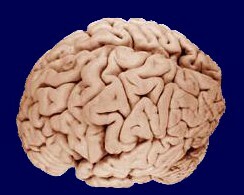 Intracerebral haemorrhage, where bleeds occur within the brain, numbered 45 per 100,000 of the population. Where the timing of the stroke was recorded as either during waking hours or during sleep, the researchers looked for any obvious patterns among the different types, by dividing the wake-sleep cycle into 12 two hour intervals. Men tended to be around five years younger than women for all the different types, but there was little variation between the sexes in respect of the timing of the various types of stroke. All three stroke types registered two peaks during the day, one between 6 and 8 in the morning and the other between 6 and 8 in the evening, with a significant dip in the numbers of strokes occurring during sleep. But closer analysis showed that cerebral infarction had a higher peak in the morning and a lower peak in the afternoon than the other two. Intracerebral haemorrhage and subarachnoid haemorrhage, on the other hand, were more likely to have lower peaks in the morning and higher peaks in the afternoon than cerebral infarction. Around one in five cases of cerebral infarction occurred during sleep, with most cases concentrated in the period immediately before waking up, although the stroke would probably have begun earlier, say the authors. Sleep lowers blood pressure in the body, so cuts the risk of stroke, but low blood pressure is a risk factor for cerebral infarction, say the authors.